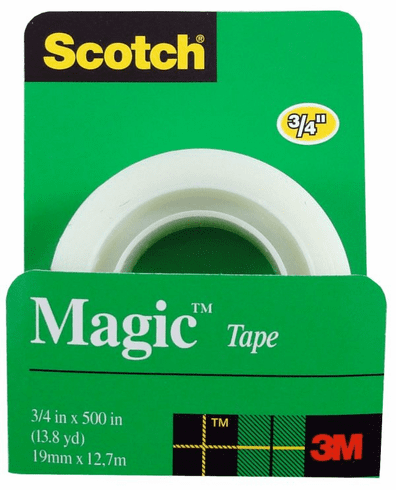 Magic Tape Refill 3/4" x 500"
Home > Paper Goods & Office Supplies > Desk Supplies > Magic Tape Refill 3/4" x 500"
Excellent tape for any office setting. Matte finish disappears on paper and allows writing on its surface. Resists yellowing and peels off roll easily.